We welcome you on board and sail from Arnhem at 08:30. 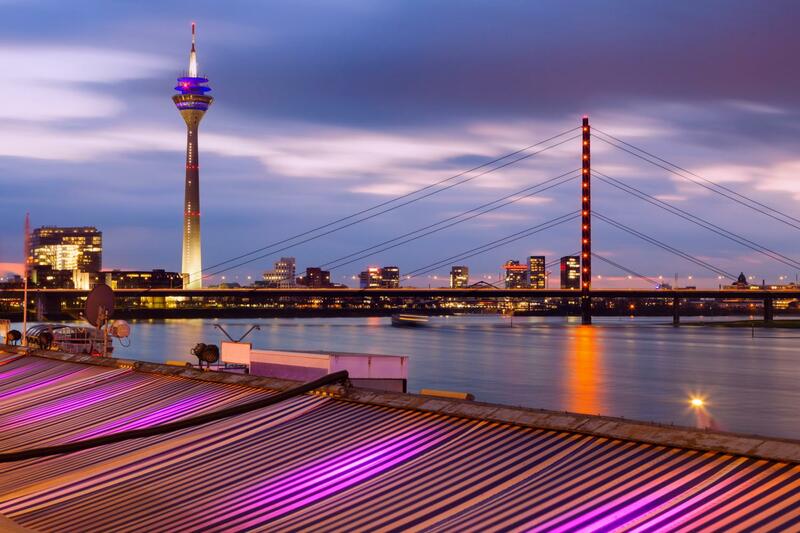 While sailing towards Düsseldorf you’ll have plenty of time to explore the boat and meet the other passengers. 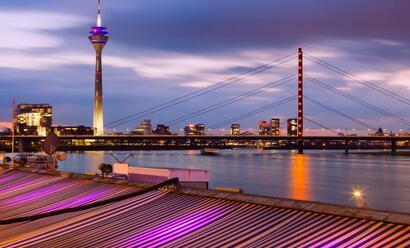 We’ll arrive in Düsseldorf in the early evening and will spend our first night here. 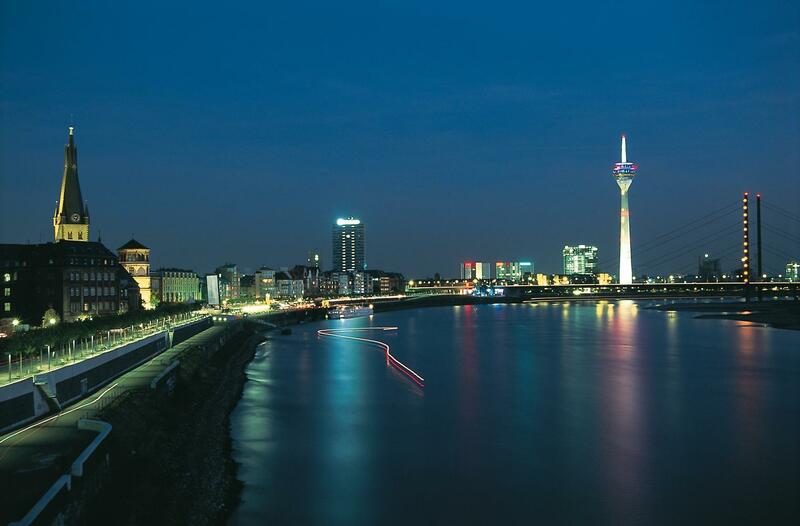 We will sail past Cologne early in the morning. The city’s lovely skyline will be visible from the boat. 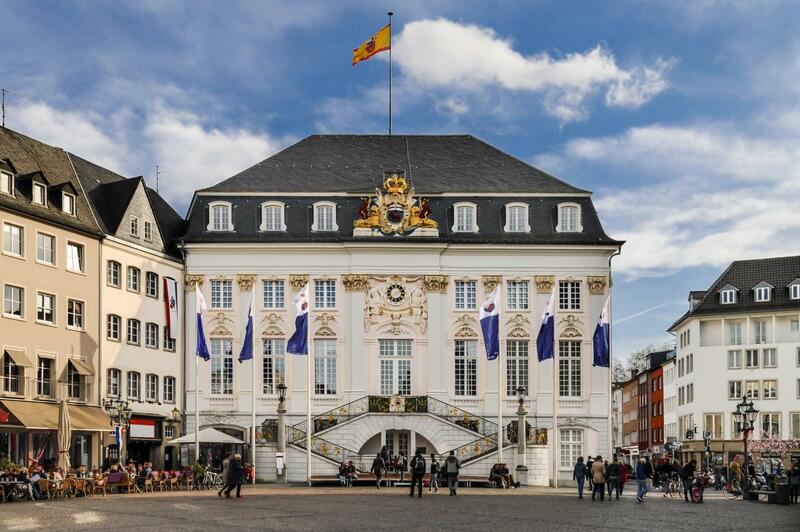 After lunch we will moor at the former capital of Germany, Bonn. 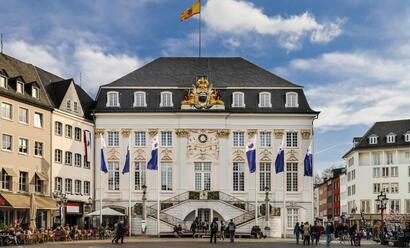 In addition to its many museums and historical buildings, Bonn has a lively centre. 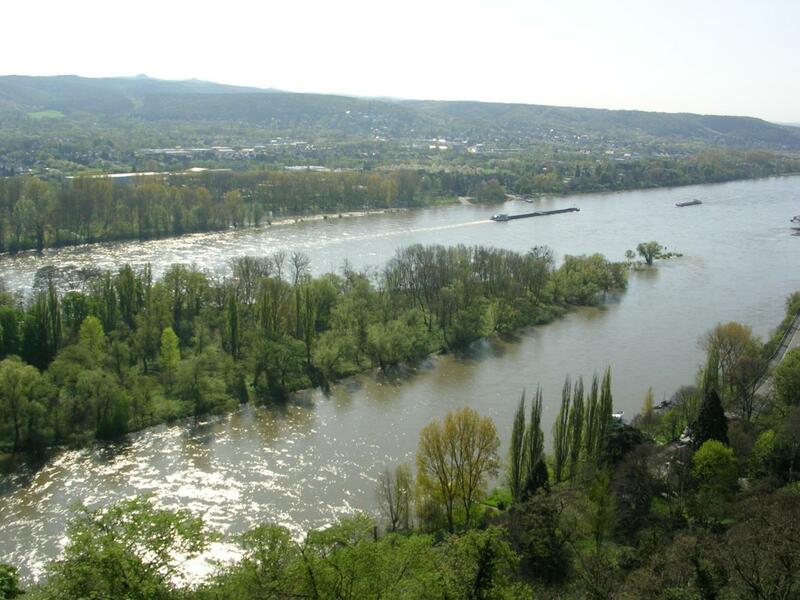 We travel further upstream in the early evening towards Andernach. Today is Easter Sunday so a delicious Easter breakfast awaits you in the restaurant. While you are enjoying your breakfast we continue our journey to Boppard. We will pass by mighty cliffs with fortresses and castles which make the scenery even more beautiful. We will arrive in Boppard around midday. 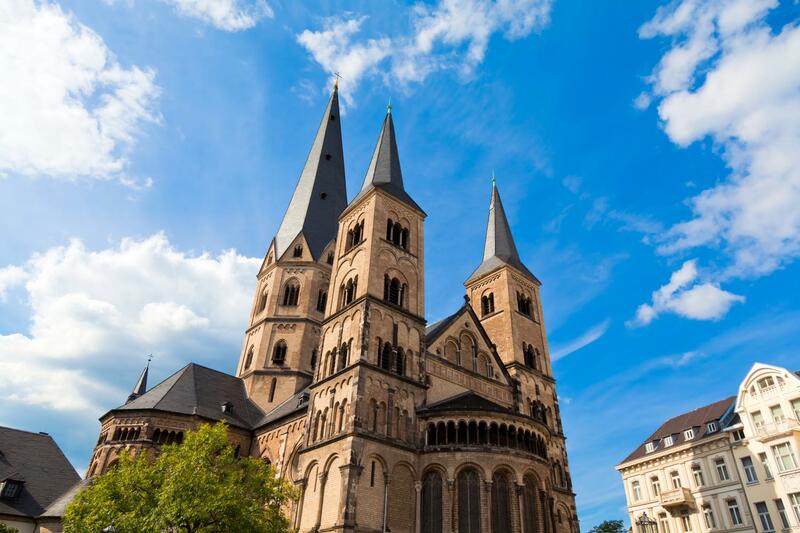 This town located in the middle of the wine area has a long Rhine Promenade which will lead you to the romantic centre with its beautiful half-timbered houses. 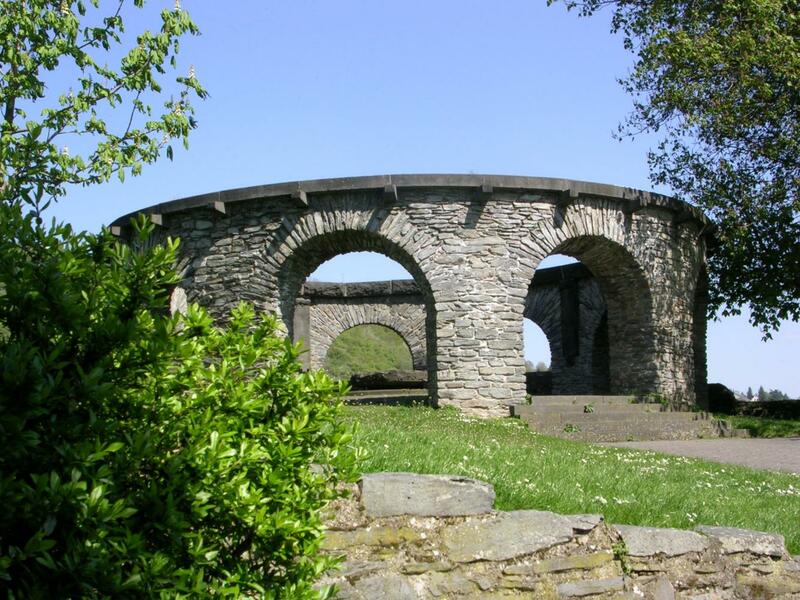 After we pass the imposing ‘Burg Rheinfels’ the legendary Lorely will come into view. 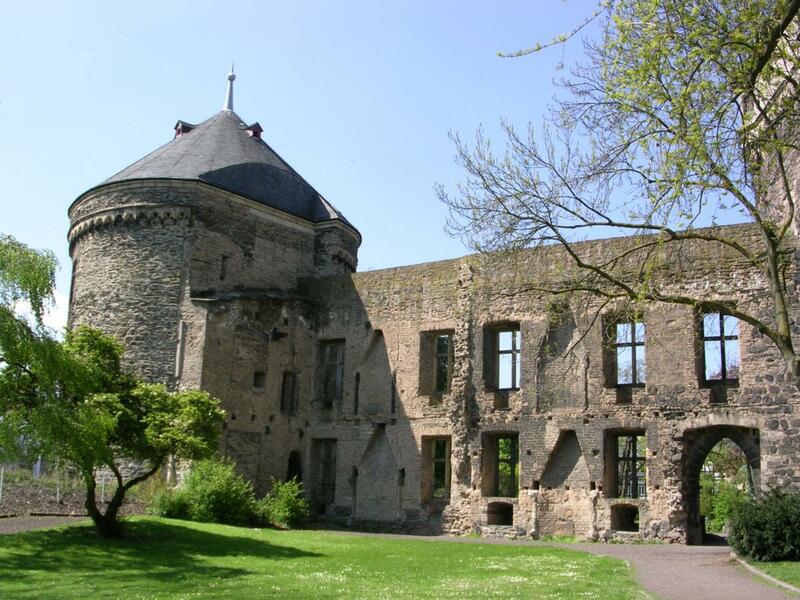 You can visit the ‘Mechanisches Musikkabinett’ or the wine museum in the lively centre of Rüdesheim. You still have the opportunity to stroll along the famous Drosselgasse in the evening and enjoy its many outdoor cafes. Take time to enjoy the Romantic Rhine Valley this morning as we sail through it. Towards midday we will arrive in Cologne. The Cologne Dom (Cathedral) can be recognised from far off by its two large towers. You can also take part in a city tour(*) here where you will see Cologne’s most beautiful sights. You can visit the many shops and department stores at your leisure in the long traffic-free shopping streets. The last day of the holiday has arrived. We put out the gang plank for you at 14:00 in Arnhem and it’s time to say goodbye. You will look back on this Easter Cruise with much pleasure.